Gilmore Girls: A Year In The Life Trailer Hits And All Is Right With The World - Are You Screening? Gilmore Girls: A Year in the Life is fast approaching release (Nov. 25), though that may seem surprising after all the hoopla, and we finally get a trailer. While we’ve had a lot of glimpses of the plot of the unique, 4-installment adventure, the trailer finally makes it possible to put some things together. The format alone provides room for some interesting possibilities, especially since it truly covers a year, which means that what we get from the trailer might not actually cover much, issue-wise, of what ends up happening throughout that timeframe… but, we know some things. 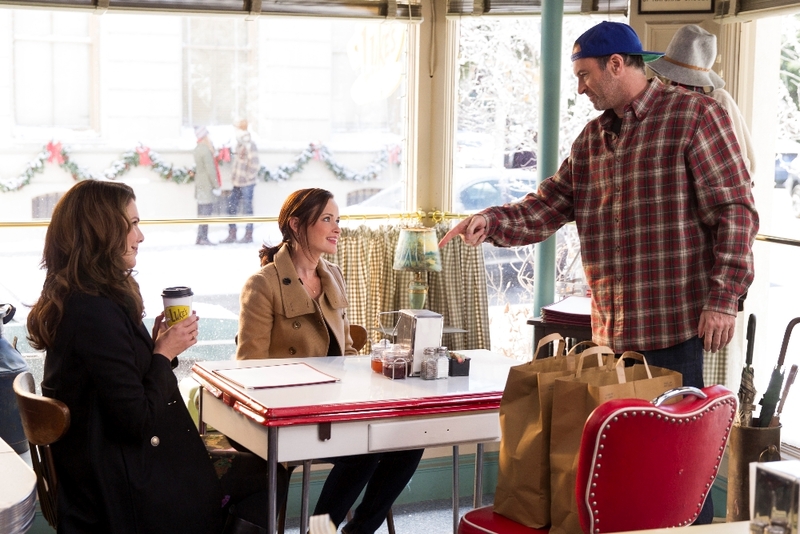 Lorelai and Luke are together, but Lorelai is at an uncertain place in that relationship. It’s nine years later, so it isn’t completely surprising that people would take a look at their relationship, though it’s uncertain exactly what Lorelai’s problem is. She mentions that she thought she knew what she wanted, and thought she knew where she was going. Nine years later, she isn’t sure about much, apparently. Meanwhile, Rory is out of job, obviously back home, and uncertain about her future as well. The official word is that, “Rory’s budding journalism career in New York has stalled before it’s even begun,” though that doesn’t quite jive with the fact that it’s been nine years. Of course, it does jive with the fact that we need her to be here, so there had to be some reason. Finally, Emily is dealing with Richard’s death, and that is leaving her equally uncertain about her future. What we do know is that pretty much everyone you could imagine managed to get in on the trailer, so there won’t be a lot of holes in the life and times of Star’s Hollow. And, managing to get Lauren Graham, Alexis Bledel, Scott Patterson, Kelly Bishop, and on and on, back together for something like this is one hell of a treat for fans. Take a look above, and mark your calendars.